- Select Option -1 oz.1-1/2 oz.1/2 oz.2 oz.2-3/4 oz.3-1/2 oz. A Stan Gibbs original with application in fisheries around the world. This is an aerodynamically beautiful plug to cast and its sleek tapered design simulates many forms of forage fish. The sleek, tapered design with tail weighting will get this plug "out there". From that point on a variety of retrieves will draw strikes. Perhaps the most effective, however, is a retrieve that may take a little practice. Point the rod tip at the plug and induce some rapid up-and-down tip action - not violent but steady, while at the same time reeling slowly to make the plug dance from side to side on the surface. Greta big popper with awesome action. The heavier weight lets you cast it a mile. You can count on this plug when fish are top water feeding. Do the Jersey shake on your retrieve and the plug supplies all the action you need. Great lure. A must for the bag of tricks! I haven't had a chance to use yet but looks great in my tackle box! 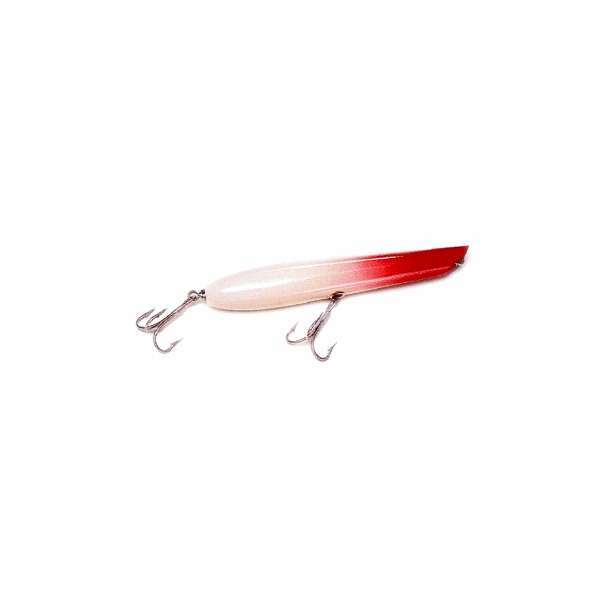 My new go to lure for backwater fishing. Has done really well for 20''+ fish. ConsThe hardware is a little weak for bigger fish. 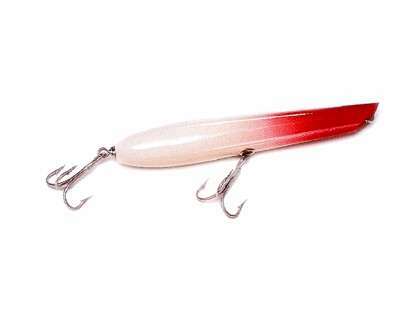 This lure tears up the surface of the water very well and also casts like a rocket. These plugs are great in all sizes. I have caught many bass and blues on these plugs. They are better prices than many plugs out there and catch fish. Plug has quality split rings and hooks. Good popper, does exactly as suppoused to. Based on the reviews of the popper on the web I had high expectations and I was not disappointed. Is this a wood or a plastic? All of the Gibbs plugs are wood.